University of Kerala - University of Calicut. Prof. Maxwell Fernandez, can rightly be remembered as the ‘Father of Journalism Education’ in the Universities in Kerala. His single handed efforts resulted in the launch of the first University level Mass Communication Programme in the State three decades ago. A first rank holder and gold medalist from the University of Mysore, he started the Master’s Degree Programme in Journalism (MJ) in the University of Kerala in 1976, the first of its kind in the State. In fact, as the founder head of the Department he laid a solid foundation within a short period of time which helped it grow into one of the well known Journalism Departments in the country. Prof. Maxwell Fernandez, a native of Cochin was also the first person to head the Department of Journalism in the University of Calicut. Many prominent media persons and academics who had the opportunity to study in the Universities in Kerala always remember with gratitude the glorious contributions of Prof. Maxwell in shaping the destiny of Journalism education in the country. The contribution of Prof. Maxwell was not confined to the academic world alone. 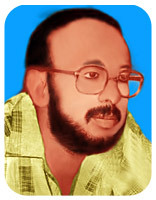 He had worked as a reporter with The Indian Express and then as a sub-editor with The Week before joining The Kerala Times as its Editorial Co-ordinator. Prof. Maxwell Fernandez left this world at the prime age of forty one, in December 1989. The services rendered by this pioneer of Journalism education in Kerala are still remembered by many media persons with sincere gratitude.